Chelsea manager Jose Mourinho has confirmed that captain John Terry will miss the trip to Anfield. 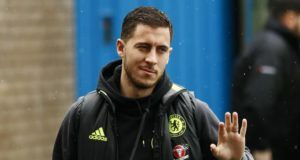 Mourinho also ruled Eden Hazard and Samuel Eto’o out of the game, before claiming the trio are real doubts for the Champions League semi-final with Atletico Madrid. After the 0-0 draw with Atletico Madrid on Tuesday evening, Mourinho claimed he would heavily rotate his squad for the game with Liverpool. Speaking ahead of the trip to the league leaders, Mourinho spoke of those who won’t feature. Mourinho went on to rule Eto’o out, meaning Demba Ba is likely to lead the line on Sunday. People have questioned Mourinho’s desire to prioritise Wednesday’s match with Atletico Madrid, however the Chelsea boss has claimed they will do all they can to win on Sunday. 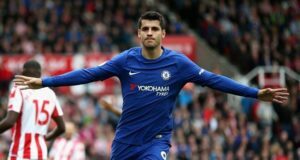 The Chelsea manager also distanced himself from bizarre reports linking him with the vacant position at Manchester United. David Moyes was sacked as manager of the champions of Tuesday, however Mourinho has laughed off suggestions that he would leave Stamford Bridge for Old Trafford. My name is Joshua Jones, I'm 21 and I've recently graduated from the University of East London with a 2:1 in Sports Journalism. A Chelsea fan from Essex. maybe because you know Utd don’t want you Jose. 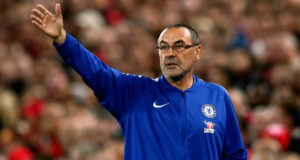 I wish they didn’t hand pick the press at Stamford Bridge, it would be nice to see the reaction to some more probing questions and try to get the numpty to bite which I think would be a lot more interesting, but would get him in even more trouble, give him enough rope and he’ll hang himself and Chelsea from the same tree! from the onset of the season, Man U+ Alex Fergie choose Moyes and Jose on the other hand set his heart on Chelsea. Sentiment’s apart, Jose is a very good coach…. Wherever he coaches, U’ll always see his team at the top spot. If Jose coaches Man U, man U wouldnt have been in these predicament. Even if we dont we any trophy this season, having Jose as a coach is like a trophy itself.